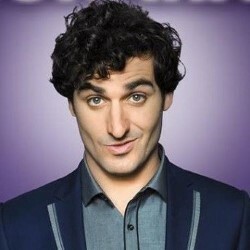 Patrick Monahan is a force of nature when it comes to making people laugh – you can’t help but be swept up in his high energy excitement and charm. Not surprisingly, his Pub Quiz was chaotic, crazy, and really good fun. Ably assisted by Emily and Will from Story Pocket Theatre, Pat arranged teams, team names, and found groups to join for smaller parties. Then the rounds started : Round One: Story Knowledge, where children got to show off their knowledge of family classics. Round Two was Theme Tunes, with the briefest of hints provoking much debate with the teams – some of whom took it more seriously than others. Who’s Who saw an audience member doing a seagull impression, and the Dance Off got even the more shy children on the stage, on their feet and dancing away. Finally, a quick fire round decided the winning team, before everyone had to dance their way out of the room – sad it was all over too soon.